Yup, it was the JKR Grafted Mille, I got a gorgeous piece from you and it was growing good in my frag tank. Then I made a stupid mistake moving it back and forth from frag to DT (T5s - LEDs) and I lost it :(. I agree 100 percent, and am also with Matt in that I would bet it won't turn out that nice. A few people may get a good section of it but over time the graft will fade out, just my guess though. Way to go reef builders, you have helped reef raft bump their price up beyond belief in a time where they don't have much of anything actually new to price high. 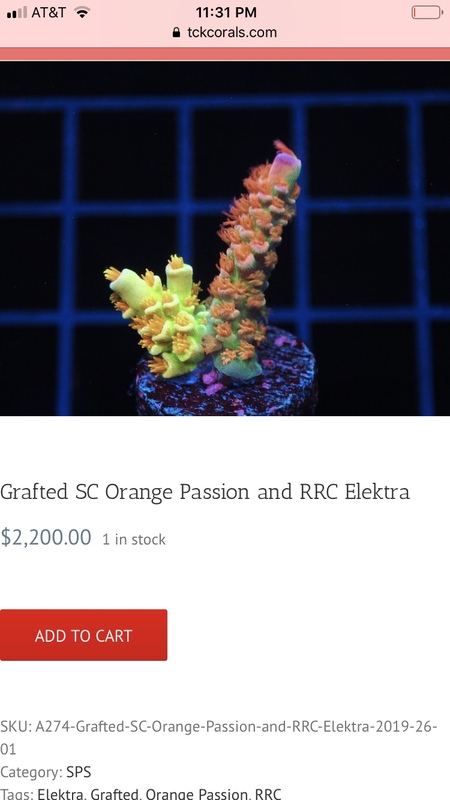 Some of the prices on these fresh cut corals these days makes me sick. Looks like others are getting onboard with this. Maybe some future experiments coming up. You're going to have some pissed off people if these "grafts" eventually reject each other or one color ends up dominating the other. I for one would not be paying top dollar for this particular experiment, especially when these pictures are obviously so color corrected. Heck, the coraline algae in that picture looks brighter than the coral itself. 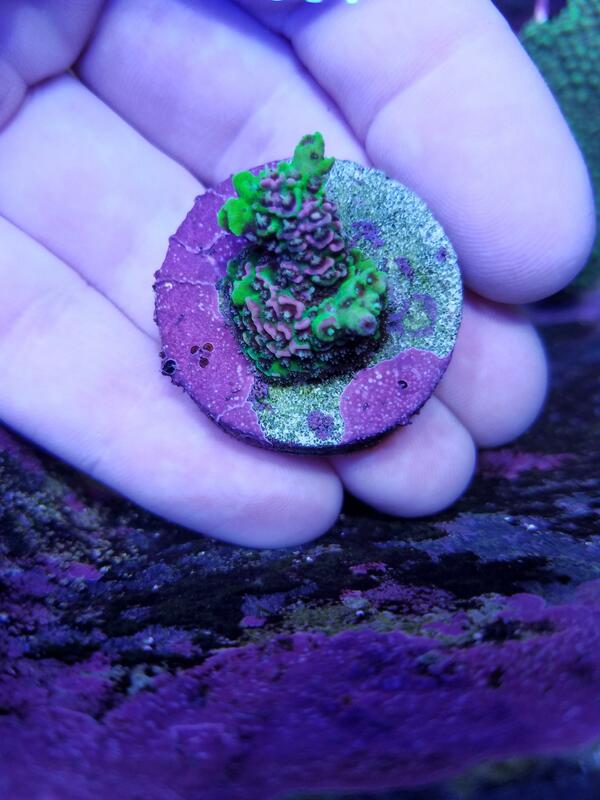 I'd also at least want the corals to be healed enough to not still be showing the glue if I were going to drop $2K. Ah well whatever floats someone's boat I guess, that money will likely go a long way towards keeping these sellers in business, which at the end of the day is probably a good thing. And if these experiments do work out they'll eventually become more common and I would love to pick them up at a decent price after someone else determines whether it works out long term.